The health of your school and the education of your students depend on an effective and generative partnership between an institution's board of trustees and its administrative leadership. This includes the board's sole employee, the head of school, and key partner to the head and board, the chief business officer. Effective accountability and governance begin with mission-driven, dedicated leaders. This session is designed to help build your school's capacity by examining the relationships at play and developing strategies for effective board and staff interaction. Case studies and leadership exercises will help you learn fresh perspectives on leading through challenges and prioritizing strategic issues with effective communication and collaboration. Governing and administrative leaders need one another's support without micromanagement or uber control, such that the board remains generative, strategic and visionary while administrators deliver and drive forward the school's mission. These constructive partnerships are built on working together strategically, trusting each other and putting mission and students first. 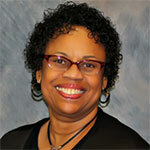 Vicki Floyd Clark has built capacity in organizations and inspired community and business leaders for thirty years. A noted speaker, facilitator, consultant and trainer, she has extensive experience in the nonprofit, government and private sectors. She works with a variety of companies and organizations including Centers for Disease Control, St. Jude Children's Hospital, Planned Parenthood, American Bar Association, National Center for Family Literacy, Ronald McDonald House Charities, United Way and the Association of Junior Leagues International. Clark was trained by Dr. Peter F. Drucker and Frances Hesselbein and was a member of Dr. Drucker's training and consultation team. 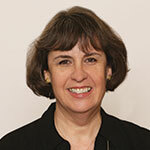 She is a senior governance consultant for BoardSource and has been a guest lecturer at universities around the country. Clark serves proudly as a member of the boards of the National Diaper Bank Network and the Youth Volunteer Corps. Are our schools on a trajectory to intersect a future that is vastly more unknown than it ever has been in the past? In this interactive session, Lichtman will share key pieces of the increasingly competitive and volatile K-12 landscape today, some inevitable changes in the operating systems of schools in the next 10-25 years, and insights into what independent school heads and trustees see as the biggest challenges we face. Drawing on his experience working with thousands of school stakeholders, he will share strategies to recast our understanding of key issues and strategies to address them; to push our thinking past the question of financial sustainability and to understand our roles in this increasingly "VUCA" (volatile, uncertain, complex, and ambiguous) future, not as business officers per se, but as education leaders charged with instilling long-term, value-building, horizon-setting strategy in our independent schools. 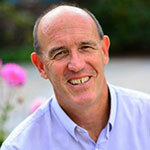 Grant Lichtman is an internationally recognized thought leader in the drive to transform K-12 education. He speaks, writes and works with fellow educators to build capacity and comfort with innovation in response to a rapidly changing world. He helps school and community teams in both public and private schools imagine schools of the future and their places in that future. He has authored three books, "Moving the Rock: Seven Levers WE Can Press to Change Education," "#EdJourney: A Roadmap to the Future of Education" and "The Falconer: What We Wish We Had Learned in School." For fifteen years, Grant was a senior administrator at one of the largest and oldest K-12 independent schools in California. Before working in education, he directed business ventures in the oil and gas industry in the former Soviet Union, South America and the U.S. Gulf Coast. This dynamic workshop will focus on the challenges, best practices and strategies associated with recruitment of diverse faculty and staff. Learn how to implement proven minority recruitment strategies and how and where to access information and resources that will assist your school in meeting its diversity goals. Based on results of a three-year study and more than 23 years of diversity recruitment experience, this workshop unpacks why some schools are successful at diversity recruitment and why others are not. It will provide a framework for change, tangible tips and strategies, and a comprehensive plan to address individual school's obstacles and needs through the NEMNET Minority Recruitment Assessment Test [nMRAT]. 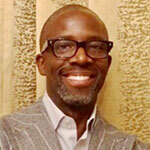 Warren Isaak Reid is the founder and CEO of NEMNET Minority Recruitment, Inc. Established in 1994, NEMNET is a national resource organization that assists public and private schools in the recruitment and retention of teachers and administrators of color. In 1997, NEMNET expanded nationally and the brand has grown to include Nemnet.com, Nemnet Diversity Career Fairs, Nemnet Consulting Group and most recently, Nemnet Mobile, a hiring app. Today, NEMNET serves over 350 schools, assists over 2,000 job seekers and sponsors five regional diversity career fairs annually. In addition to recruitment and retention, Reid's work focuses on cultivating communities of color in schools and training school boards and HR teams. He has consulted for Harvard College, the National Association of Independent Schools, STAPLES, Inc. and the NAACP among other organizations. Reid began his independent school career as a teaching fellow at the Pomfret School, where he also served as a three-sport coach, student advisor, dormitory parent and ultimately director of multicultural affairs. Strong enrollment drives your school's financial health, but economic, demographic and technological forces are disrupting long-held tuition management practices and long-stable independent schools. Consultant and former independent school CFO Chad Tew has been researching these disrupters for nearly a decade and with two eminent enrollment leaders, shares what every business officer needs to know about enrollment management, pricing and financial aid in order to meet the challenges and opportunities within the changing landscape. Learn how the analytic charting of your school's enrollment cycle should be a team effort between the business and admission offices. Build an understanding of the core competencies any school's enrollment management team must have to deliver results. Consider the role of pricing in admission and retention and how financial assistance strategies affect access for both low- and middle-income families. Case studies will illustrate different financial aid pricing models, and participants will gain strategies for navigating larger trends in economic disruption that will inform school budget and planning discussions. NBOA's Partnership with EMA: NBOA has partnered with the Enrollment Management Association to explore the drivers impacting the growing costs of delivering a world-class independent PK-12 school education and affordability concerns for current and prospective families. Through this partnership, the associations are exploring how best to identify, secure and utilize the resources an independent school needs to fulfill its mission and provide unparalleled education to its students. The ultimate goal for NBOA's and EMA's combined membership is to help schools achieve, maintain, and grow their enrollment of mission-aligned students and thrive in perpetuity as a financially-sustainable educational institution. In 2018-19, both associations are leveraging their various platforms and delivering thought leadership and guidance through a series of programs as well as online and printed resources to help school leaders explore issues related to financial aid, in particular, as well as current market conditions, pricing, enrollment, accessibility and affordability trends to bring this predominant issue into the limelight so independent schools may identify their most viable path forward. Chad Tew is chief disruption navigator at Tew & Associates, where he leverages broad experience as an educator to help schools achieve sustainable success in a rapidly changing market. Tew & Associates consults with schools across the country on financial sustainability, marketing and financial aid. Tew is also a certified merger & acquisition advisor and helps boards consider these tools in achieving their mission. Formerly an independent school CFO , he has held college leadership positions in admissions and marketing. Tew has taught business and management courses at UCLA and serves on several boards. Heather Hoerle is the executive director and chief executive officer of The Enrollment Management Association, a non-profit membership association serving independent school enrollment and admission leaders through the best science, research, and training. 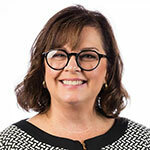 A thought leader in enrollment management, Heather personally led the charge for the professionalization of the admission and enrollment professional, demanding that industry colleagues mobilize to reposition the work of enrollment management as both strategic and foundational to institutional success. Heather's career began in independent schools as an administrator, student advisor, and teacher then embarked on a successful 23-year tenure in leadership roles with The Association of Boarding Schools (TABS) and eventually serving as a vice president at The National Association of Independent Schools (NAIS). Laurel is the assistant head for enrollment at her alma mater, Viewpoint School (CA), as well as the vice chair of the board of trustees of the Enrollment Management Association. Prior to arriving at Viewpoint, Laurel worked for 19 years in positions of successive responsibility at the University of Southern California’s office of admission, culminating in her appointment as director of admission. A former trustee of Viewpoint School, she was also deeply involved in the founding of The Wesley School (CA) and is a former Wesley trustee. Laurel currently serves as a faculty mentor in the enrollment management leadership program of USC’s Center for Enrollment Research, Policy, and Practice. Laurel is a two-time past chair of the Los Angeles Consortium of Independent School Admission Directors, and is a member of the Institute for Educational Advancement’s Caroline D. Bradley Scholarship Committee. Jeff Shields has been NBOA's president and CEO since March 2010. Prior to joining NBOA, he spent almost 10 years at the National Association of College and University Business Officers (NACUBO), serving most recently as senior vice president and chief planning officer. 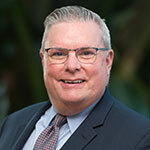 An active member of the American Society of Association Executives, Jeff earned the Certified Association Executive (CAE) designation in 2002 and was selected as an ASAE Fellow in 2008. 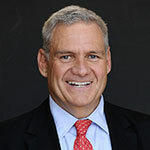 He currently serves as a trustee for the One Schoolhouse, Inc., and previously served as a trustee for Georgetown Day School in Washington, D.C.